We’re looking for a Rector with clean wellies to inspire and guide us in God’s work amidst the best of East Devon’s coast & countryside. We work as a caring and co-operative team, with five parishes at the heart of community life – Branscombe, Colyton with Colyford, Musbury, Northleigh and Southleigh. Please click here for the Mission Community profile. We’re seeking a priest to strengthen our Mission Community, bringing a Christian faith that is evident, grounded and capable of inspiring others. We anticipate an affection for many worship styles and an appreciation of quality in liturgy and music. We hope for a natural warmth, with openness, diplomacy and tact. We expect him or her to have collaborative leadership skills and experience in nurturing teams. We in turn can offer great lay, clergy and administrative support, a children & families worker, and cake at the drop of a hat. The Psalms are treasured texts within both the Jewish and Christian traditions, and yet they can also be difficult, even forbidding, coming from an ancient and very different world. On this Quiet Day we shall touch on what these ancient texts are, when they were written, and out of what kind of contexts they emerged; but mainly we shall explore the power of their meanings for us today, and how they can nourish a deep life of prayer and contemplation, enabling us to see ourselves and the world differently. 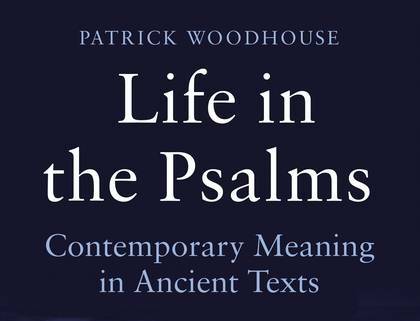 Patrick Woodhouse is a writer and Anglican priest. Recently he published Life in the Psalms (Bloomsbury 2015) and Etty Hillesum, a Life Transformed (Bloomsbury 2009), the story of a young Jewish diarist who died in Auschwitz. He was for thirteen years a Canon of Wells Cathedral. He now lives in South Somerset. The day is provided free, including lunch, with an opportunity to make a donation to the Mission Community. Please sign up on the sheets which will be in the back of the church from Sunday 3rd February, by Monday 18th February at the latest. Please also indicate whether you need transport. 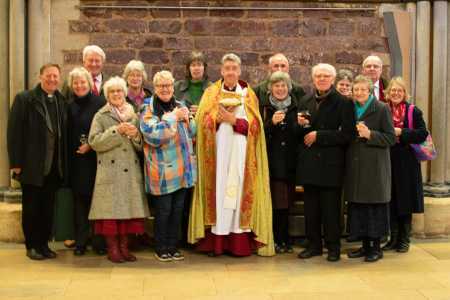 A group from Holyford came to the cathedral on 10th February to support our John Lees when he was installed as Prebendary – a very happy occasion. John continues his ministry in Holyford as Associate Priest as before. 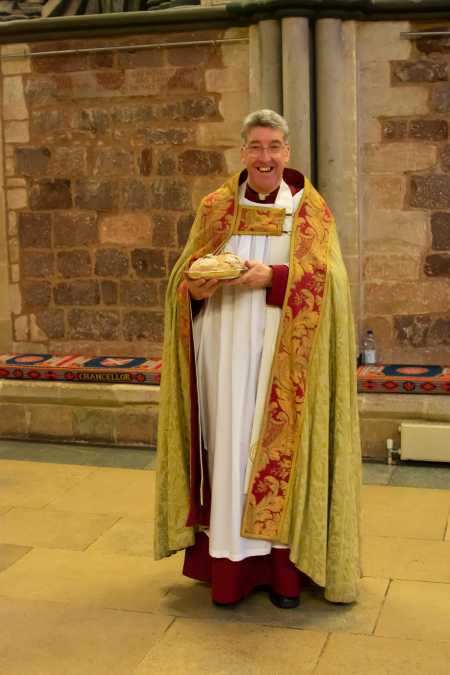 We are delighted that the Bishop of Exeter has appointed John Lees as a Prebendary. This honorary title will be conferred at an Evensong at Exeter Cathedral on Sunday, 10th February at 4pm. All are welcome to attend the service to support John and celebrate this with him. If you need transport please contact David Fouracre or Christine Sansom. John continues as an associate priest within the Holyford Mission Community. Our children’s events start again in the New Year and all are very welcome! Messy Church continues at the Reece Strawbridge Centre from 4.00-6.00 pm on Sundays January 13th, February 10th and March 10th. Noah’s Ark at Colyford Hall from 1.15-2.45 pm continues fornightly on Thursdays, dates January 10th and 24th, February 7th and 28th, March 14th and 28th and on April 25th with egghunt and tea. 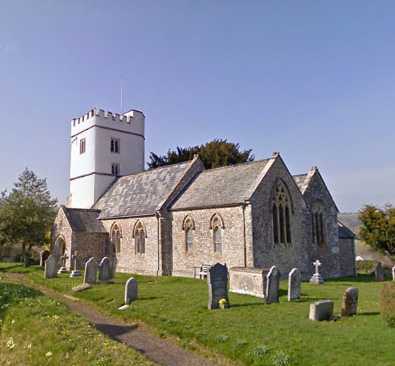 Holyford Mission Community is delighted to welcome the parish of St Giles, Northleigh who are joining the community on an informal basis from 1st January 2019. We look forward to getting to know each other and sharing our life together. There is now a “Northleigh” page under the churches menu on this website where relevant information will be added as soon as possible. 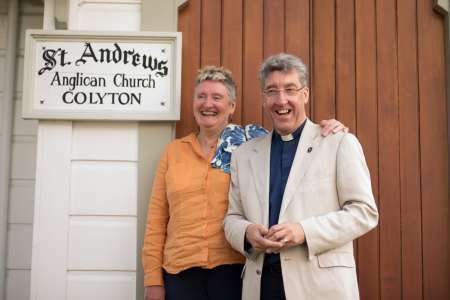 Hilary’s last day serving in the Mission Community will be Friday 4th January, when she will be saying goodbye to our mission community congregations and to the wider community at a special service at 7.30 pm in St Andrew’s Colyton. Refreshments afterwards. All very welcome. Hilary has been our much loved Rector for the last few years, and she will be greatly missed when she moves to Gloucester in January. There will be a leaving service for her here on 4th January at 7.30 pm in St Andrew’s Colyton. An “outstanding vicar” from the Diocese of Exeter has been appointed as the next Archdeacon of Gloucester. 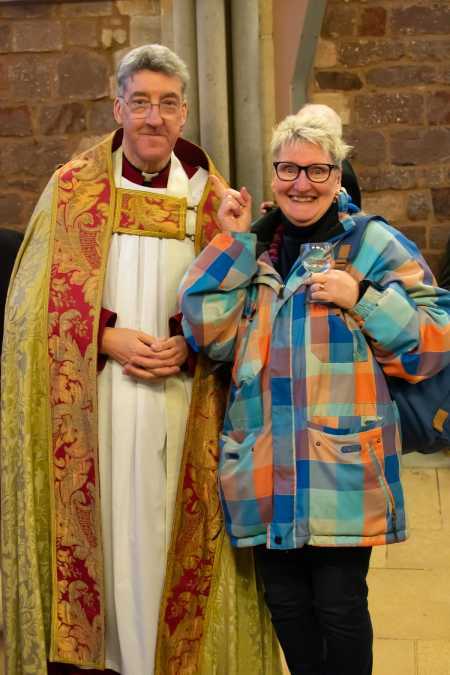 The Revd Preb Hilary Dawson, Rector of Holyford Mission Community based in Colyford, is to take up the role made vacant when the former archdeacon, Jackie Searle, was made Bishop of Crediton. Hilary has also been appointed a residentiary canon of Gloucester Cathedral. 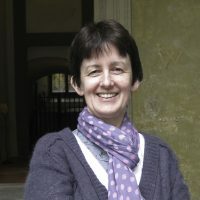 The news was announced by the Bishop of Gloucester, the Rt Revd Rachel Treweek. Hilary will work closely with Bishop Rachel and her senior staff team, and the Dean of Gloucester in the leadership of the diocese. Hilary is married to Richard and they have two grown up children, Michael and Eleanor. Hilary was born and brought up in Devon and was a teacher for 18 years. She trained for ministry with South West Ministry Training Course and was awarded an MA in Biblical Studies from Exeter University. Hilary will be licensed and installed in Gloucester Cathedral on Sunday 27 January. After extensive reflection and discussion our PCCs have unanimously agreed that we should welcome Northleigh Parish to become part of Holyford Mission Community. We will shortly be guided in the formalities of the process by the Archdeacon of Exeter, and from January 2019 things will begin on an informal basis. All of our PCCs warmly welcome Northleigh: we are delighted they would like to be part of what we do, and we look forward to the contribution they will make to the life of this vibrant mission community. Thursday 10th May at 7.00 in Musbury Church. Supper afterwards for those who wish at the Golden Hind. how do they intertwine with the natural seasons? how do they help us reach out through the year to pray, grow and serve? Each speaker will focus on one liturgical season in a way that inspires them.